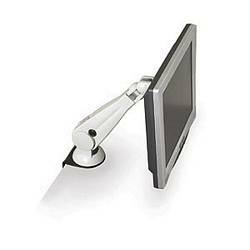 Save space by mounting your monitor with one of our LCD monitor mounting arms! This desk mounting kit makes the desk area under your monitor usable, plus it allows you to raise, lower, tilt, turn, and rotate your monitor easily. Adjustable counter balance allows monitor to "float"